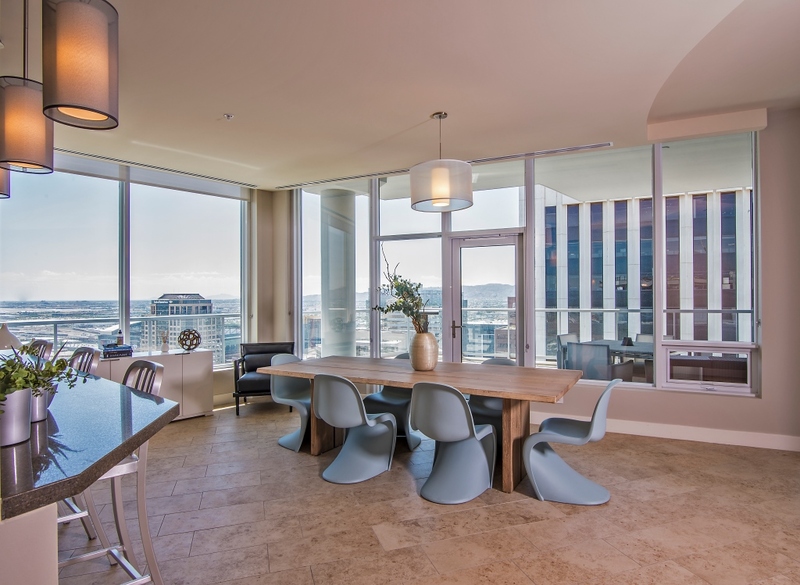 Downtown Living: 44 Monroe - Downtown Phoenix Inc.
At least that much is true for 44 Monroe, the tallest and one of the first residential towers built in Downtown Phoenix. Completed in 2008, it was initially designed and marketed as luxury condominiums, but the majority of homes proved more successful as rental units, leasing to capacity within 12 months of transitioning in 2011. As the Downtown Core flourishes, it just makes sense that more residents become centralized as well, according to Kevin Bohm, community manager at 44 Monroe. Bohm not only manages the property, he’s a resident too. As a Phoenix native, he’s lived in a lot of area cities – including Glendale, Scottsdale and Tempe. But Downtown Phoenix is rapidly becoming a hub for the whole metro area. Nowhere else can you walk out your front door and go to a sports game, the theater or just grab a cup of coffee in the morning. While the luxury finishes and sweeping views of the Valley are huge selling points at 44 Monroe, the convenience of a pedestrian lifestyle is truly what sets this place apart.